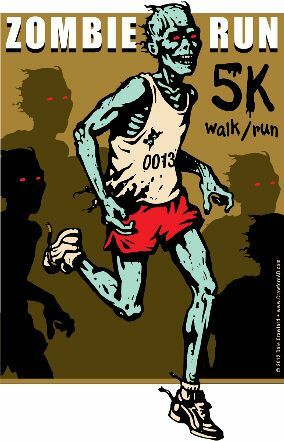 Volunteer for the Tenth Annual Traverse City Zombie Run, October 26th and 27th, 2018. Join the living and volunteer for the tenth annual Traverse City Zombie Run, October 27th, 2018. The Zombie Run is a Traverse City Halloween tradition and we owe all of our success, and our lives to our great volunteers! On October 27th a Zombie Hoard will invade Traverse City and we will need an army of volunteers to control them as they roam our city streets. No prior experience is required, but survival skills a must. Please help save our city and put on another great run in the process!